Senior Emma Barrera breaks away from a Ram defender during the Tigers' 1-0 victory. The girls’ varsity soccer team avenged their recent loss against Monrovia with a 1-0 home victory against the Temple City Rams, granting the team a Rio Hondo League title. This victory places South Pas’ overall record at 10-2-2 with a league record of 5-2-1, and gives them an opportunity to uphold their 2018 CIF title. Coming into the first half of the CIF qualifying game fired with motivation, South Pas attempted quite a number of extremely close goals within the first ten minutes. It was evident early on that the Tigers’ were determined to secure a win. A series of forceful offensive attacks propelled the momentum into an impressive goal from senior midfielder Rainey Tilley, which was assisted by Uma Hornish very early in the half. South Pas continued to surpass the Rams defensive line time and time again during a multitude of goal attempts, as Temple City was not able to sufficiently meet the competition. The Rams defensive line appeared not as skillfully capable as the Tiger attack. Practically the only thing prohibiting South Pas from accomplishing a momentous win was Temple City’s impenetrable goalie. Star senior defenders AJ Bonk and Jade Myer kept the Rams on their toes throughout the half, racing to every potential ball that came their way. The Tigers’ biggest weakness, however, was their lack of offensive presence during open opportunities. In order to secure a win and remain for the large part in the lead, South Pas would need to revive the jell-like force that has appeared in their more significant triumphs. The Tigers’ engaged in play more cooperatively as a unit throughout the second half, but reciprocally, so did Temple City. Both teams competed in a cutthroat manner, fighting one another aggressively — and physically on some occasions — at every possible opportunity to gain possession. The fierce competitiveness that was so prevalent earlier in the half slowly began to halt as possession grew inconsistent. Although a multitude of Tiger offensive attempts continued to present themselves from frustration for the remainder of the half with only one successful goal, South Pas simply could not fully extend their profound offensive play to score. The team time and time again has assembled a tremendous array of skill sets through field-wide cooperation. From seniors Hornish and Barrera continuously surpassing opposing defensive lines to defenders Bonk and Myer seldom allowing a ball to stay in the opposing possession, the team consistently has appeared invincible. 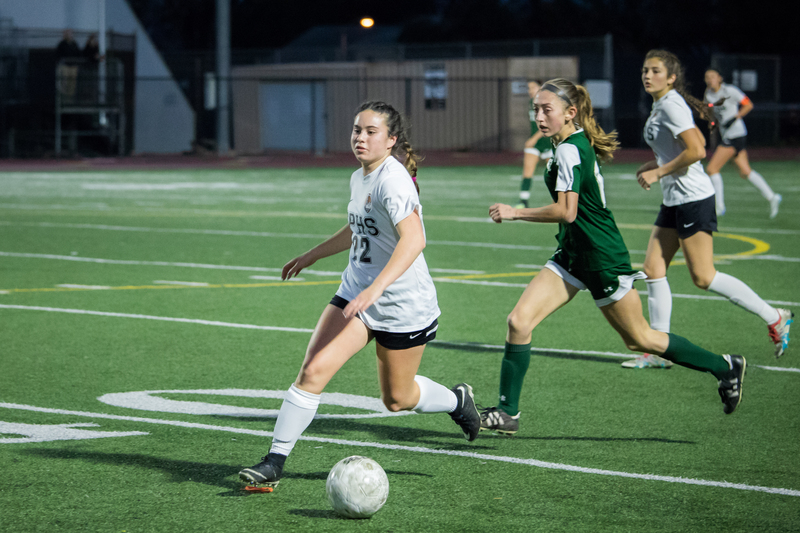 Now earning a league title for the second straight year, the South Pas girls’ varsity soccer team is beginning to establish themselves as a perennial power in the Rio Hondo. The playoff bracket for their division will be released on February 3.